The “Texas Chainsaw Massacre” has been a movie series that’s experienced great highs and crushing lows. While surely it’s been a long running series with a lot of sequels, it’s also a series that’s been rebooted numerous times. “The Next Generation” is basically a remake of the original Tobe Hooper film set for a nineties crowd and it is god awful. It’s deliriously bad. You could almost consider it so bad it’s good, if you’re very forgiving, but in the end of the day it’s awful. It’s so awful even stars Matthew McConaughey and Renee Zellweger have distanced themselves from it. Forget what Hollywood has tried to feed you, “Texas Chainsaw Massacre Part 2” is the actual sequel to Tobe Hooper’s masterpiece, and is widely embraced by horror fans as such. It’s the wacky and surreal embracing of the madness from the first film carried over from the nihilistic cynical seventies, in to the consumerist eighties, where the Sawyer family is now devoting their lives to mutilating yuppies, and going around the world selling their own brand of chili that’s made of people. Hooper’s sequel is a massive tonal departure from the more disturbing original, introducing actual nemeses for the Sawyers including Lefty, a vengeful cowboy hell bent on bringing down the Sawyers, and Stretch, a hapless DJ who becomes the unfortunate recipient of attacks by the Sawyer family when she hears them murdering two victims when one of them calls her randomly. 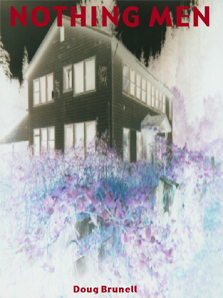 “Salem’s Lot” presents a very humanistic approach toward vampire folklore. Ben Mears, filled with desperation and literally nothing left to lose in the face of a fantastic situation, finds himself in a local morgue prepared to face down one of the unholy walking dead by taping together two tongue depressors and scotch tape, supplying a makeshift crucifix. This little device ultimately aids him in the battle with a horrific vampire who slowly rises from her sheet in all her terrifying glory. It about sums up the whole of “Salem’s Lot,” a film wrapped around despair and tension where a small town’s unrest and inner turmoil of infidelity and abuse is brought to the surface when faced with a hidden menace in the shadows, in the form of a vampire striking down town residents one by one. 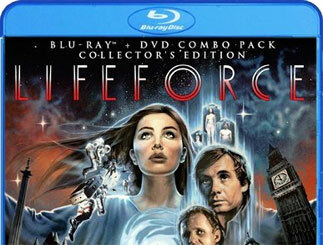 Occasionally silly, but still unique and very entertaining, director Tobe Hooper’s “Life Force” is a great contrast to his penultimate “Texas Chainsaw Massare” which relied on muted colors and grimey shades of brown and black to depict his world of vicious violence. “Life Force” is a vibrant and brilliantly filmed horror science fiction film filled with bold shades of bright blues and reds, with a premise that’s all too entertaining to ignore. Hooper doesn’t just create a vampire or alien film, but collides them to form a demented amalgam of a horror classic. Originally I was very upset at the notion of a “Texas Chainsaw Massacre” back in 2003 when it was announced. The original is so perfect as is, it’s tough to think that someone would try to top it. Thankfully the remake didn’t top it, and after watching it I realized my antipathy toward it was pointless because “Texas Chainsaw Massacre” is one of the many genre classics that’s been unofficially remade almost a dozen times already. So what’s the big deal? And as much as I enjoyed the sequels, they also couldn’t quite top the original film. And Tobe Hooper was behind the second film, oddly enough. 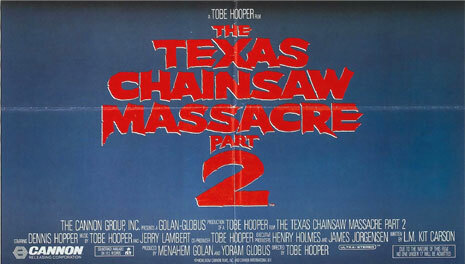 From what I’ve read, Tobe Hooper pretty much had to make a sequel to his masterpiece “Texas Chainsaw Massacre” in order to make films he wanted. And the sequel to his slasher classic is exactly the type of film Hooper has to make, It’s forced, tired, and a complete retread of the original film. To add to the utter lack of entertainment value, there’s even plots that are completely unresolved or unfinished that I would have enjoyed seeing explored expanded just to give this film the feeling that it was an extension of the first film rather than just a retread. In spite of the family hiding in the outskirts of Texas and hunting travelers for meals, now we learn that the head of their family is a local celebrity thanks to his entering of his prize winning chili and wonderful meat that he keeps a secret. Dennis Hopper is Lefty, a mysterious cowboy hunting the cannibal family and trying to uncover their secrets and put an end to their chaos. And in the opening the two unlucky schmucks that get killed by Leatherface are dismissed as accidents, in spite of one of the two getting his head sawed off. Nothing is ever really expanded or realized beyond these nuggets of ideas. I’ve always said that If you want nihilism and unabashed filmic carnage, you need to look no further than “Texas Chainsaw Massacre,” but Tobe Hooper’s “Eaten Alive” as a follow up almost reaches the heights of pure carnage that his first outing did, but “Eaten Alive” is a film that will properly divide audiences. “Eaten Alive” has a definite potential to it that’s never quite realized what with an irritating uneven pace, and a nonsensical story not to mention that unnerving feeling that this may as well be touted as a sequel to the former. The main downfall is that itching feeling you get that Hooper originally intended this as a follow up and that’s what keeps “Eaten Alive” from ever getting off the ground.